Professional and affordable roofing services in Plymouth. We cover all aspects of roofing from flat roofing, pitched roofing, domestic roofing, commercial roofing and roof repairs. Call SMA Roofing now for a FREE quote. All aspects of roofing covered by Plymouth Roofers. Plymouth Roofers are a subsidery of SMA Roofing Ltd, a professional roofing company based in the heart of Plymouth. We cover all aspects of roofing and roof repairs. Our reputation has been built on quality work and unparalleled customer service. 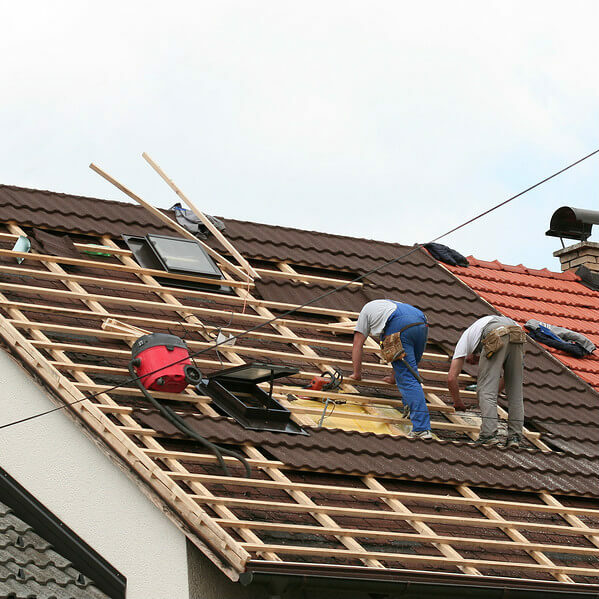 Whether you are looking to build a new home or you are just looking to make an improvement to your roofing system, Plymouth Roofers are here to help. No matter what the shape and size your home or business is, you can count on us. We have been involved within the roofing industry for years providing the best roofing services in the Plymouth area. Our team of roofing experts are holding our reputation high and take pride in providing the best roofing services in Plymouth from flat roofing, commercial roofing, roof repairs, domestic roofing, and pitched roofing. Whatever type of roof you have, Plymouth Roofers will always have a solution. There are various flat roof applications available today, and they are particularly used in porches, garages, different types of commercial buildings and house extensions. We have great deal of experience and knowledge when it comes to flat roof repair and flat roof installation. It is important your flat roof is installed by a reputable and reliable roofing company. Our team of experts will effectively assess your building structure to ensure that a flat roof is a good fit for your property. This will allow us to plan, select which materials are necessary to complete the job and how long our work will take to be carried out. We are then able to provide you with an accurate quotation and deadline to complete your flat roofing system. Our extensive flat roofing experience and knowledge allows us to correctly install, replace or repair your flat roof. It is vital that a high quality materials are used and that a dedicated team of experts carry out the work. For more information please call Plymouth Roofers on 01752 967500. Plymouth Roofers undertake various types of commercial roofing projects. All of our work is carried out to the current building regulations and guidelines, we can guarantee a service of excellence. Commercial property owners have trusted our reliable roofing services in Plymouth for many years. Customer satisfaction is guaranteed from the start to the end of every commercial roofing project. Whatever type of commercial roofing project you have in mind whether its natural slates, standing seam, single ply, fiber cement, composite paneling, steel clad, built in felt system or GPR roofing, Plymouth Roofers can help. We can also cater you with a quotation for the complete project which includes roof lights, safety netting, cladding, and steelworks. We are available throughout the day to answer an questions or enquiries you have. Call us on 01752 967500. Regular maintenance is necessary to sustain it’s value and performance, whatever the age and style of your commercial roof, maintenance is very important to retain its validity. Drainage maintenance and roof cladding are contracted with a regular inspection for the roof, roof lights, wall cladding and rainwater products to avoid the cause of damage by roof leaks. There’s no roof that lasts a lifetime, but with the help of Plymouth Roofers, commonly know as the best roofing contractors in Plymouth, we are able to provide regular and affordable roofing maintenance. Call us today and we will be happy to give you our experts roofing advice to help you with your commercial roofing needs. To avoid the potential water damage, you need your roof to perform at it’s best. It also needs to maintain its shape over the years to work at it’s best. When damage occurs in your roof is left unattended the damage can trigger serious issues, making what would have been a simple fix, a major job. If your roof starts to sag, even in smaller areas then immediate action must be taken before it turns into a much larger problem. Sagging indicates severe damage in the roof, commonly caused by poor maintenance or storm damage. If your shingles are missing or they are manifesting some signs of wear and tear, there is likely a water damage afoot. Whatever the cause of the issue, our team of roofers in Plymouth will be able to replace and repair your shingles. Materials like steel or aluminum that secures the roof joints is critical to prevent your home from water damage. If the flashing is dented, bent, or cracked, it must be repaired. Cracks and splits in the roofing system is often shown by the age of the roof. In some cases the whole roof will need replacing, but if the damage is small, then a simple roof repair fix will suffice. If you see any signs of water damage, typically at the ceiling and walls, it is very likely that there is a problem with your roofing system, it should be seen to as soon as possible to avoid the risk of further damage. All types of roofing covered by Plymouth Roofers. For any of your domestic roofing needs in Plymouth, you can count on Plymouth Roofers with our trusted reputation. By working with us you are guaranteed to receive the highest standard of workmanship. Our roofers are fully qualified and experienced so for any of your domestic roofing needs Plymouth Roofers are the best roofing company to call. Furthermore, our comprehensive roof repair process allows us to quickly and efficiently repair your roof before it turns into a larger problem. Because we have been established for 32 years, you are guaranteed to receive the most practical and honest domestic roof repair knowledge available. Our repair process is simple hence our fair prices. Our dedication and determination to cater for our customers roofing needs over the years has resulted into some fantastic testimonials which you can read by clicking the link. People tend to improve and extend their existing homes using a rear, side, single or double story extension. These options are perfect for whatever your plans are to improve your home. Pitched roofs add a great deal of character to your house and can dramatically increase the aesthetics of it. Existing parts of the roof also need to be taken into account if they are to be incorporated with the new roofing system. Plymouth Roofers will be able to provide you with the best tailored solution for your circumstances. Pitched roofing is a part of our portfolio in our bespoke projects. To see how we will help you with your pitched roofing needs, give us a call and we can offer you honest and practical advise. Our team of roofing contractors have a wide range of experience between them, this allows Plymouth Roofers to deliver exceptionally high standards of work and pitched roofing projects. With the help of of our skilled tradesmen and high quality materials our jobs are always completed on time without compromising quality. We take pride in every job we undertake, from small extensions to large slate re-roofing projects, Plymouth Roofers are the most reputable roofing company in Plymouth. We always welcome questions, so if you have a pitched roofing project in mind feel free to call Plymouth Roofers on 01752 967500. Plymouth Roofers always deliver first class workmanship, from the initial point of contact our friendly staff will go over and above to give you the very best roofing advise. We only use high quality materials and skilled tradesmen to carry out our clients projects. Whether it’s a simple roof repair or a bespoke roof you can trust Plymouth Roofers to over deliver. We cover all aspects of roofing from, roof repairs, flat roofing, pitched roofing, commercial roofing and domestic roofing. With many years of industry experience Plymouth Roofers are the go to roofing company in Plymouth. Call us today on 01752 967500 to arrange a FREE no obligation quotation. Need a Plymouth Roofer? Then how do you decide on which roofing companies in Plymouth to choose? It’s a question we often get asked, here is a list of 7 reasons why your search for a the best roofer in Plymouth stops here! 2. The quality of our work is our priority, we will always quote a competitive price based on the work that we believe needs doing in order to make your roof secure, safe and watertight. We will not cut corners to provide a cheaper quote to win your business. 3. Communication is very important to us, we will do absolutely everything we can to be promt for our meetings with you. When the unexpected happens we will not leave you waiting for your roofer to turn up, we will ring ahead and make sure you are aware of the situation. 4. We are committed to the training of our employees and every new starter is taught about the standard of roofer we need to be to maintain our reputation, build our portfolio of happy customers and make your roofing project a success. 5. The personal touch is very important, we will look to build a relationship with you that we hope can last for many years to come. 6. Our experience of roofing serivces means we have a wide scope on what we can offer. Anything above the roof line can be taken care of. It doesnt matter what type of roof you have or which kind of roofer you need, we can deal with it. Call us on 01752 967500 or complete the form at the top! When you are thinking of roofing, you will be presented with many types of roofing materials by your roofing contractors. When you have windows, a flat roof, or range, you need to look at the types of roofing products available to transform your roof. Asphalt Tile products as roofing materials. When we build a house, we want to make sure that its roof above all things is sturdy and heavy-duty. This is because it is the most important part of the house and safeguards us from the heat, cold, wind and rain. The rudiments of roofing include the material used, the construction and the durability. Done well, concrete roofs epitomize the best of all three. Below are some reasons why homeowners should pick concrete roofs over the rest. A concrete roof is fireproof, is manufactured with a low carbon footprint and is so durable, it doesn’t need to be changed ever. It is not affected by insects and cannot decompose and rot like wood. Because it absorbs heat in the day and releases it at night, it reduces the amount of electricity needed for heating and cooling. Many new roofing materials are synthetically made to look like wood or other roofing products. These types of roofing materials are more practical, easier to install and safer for fires. Also, often the synthetic roofing products are less expensive. If you want a roof that has the look of difficult roofing materials, you may want to choose the synthetic roof products. Another great type of roofing materials is slate. These roofing products are known for a classic, beautiful look for your roof. Slate roofing materials are high quality and will shed snow and rain from your roof. With roofing, you need to know if the installation will be difficult. With slate roofing products you will need roofing contractors and building experts to install the roofing. Slate roofing materials are expensive, but new products are less expensive and more practical for a flat roof or any roofing. Talk to your roofing contractors if you want slate roofing materials. Many buildings choose metal roofing materials as an inexpensive and practical roof. A metal roof is appropriate for residential, or other roofing uses. It will work for a flat roof or pitched roof. The range of metal roofing products will allow you to get the look that you want. With metal roofing, you need to use roofing contractors for the work, as the installation requires professional building techniques. Individual styles of homes feature ceramic roofing materials. These roofing products can be difficult to use and install, but if you want a Mediterranean style roof, there are no other products that give the same striking roof appearance. This type of roofing material again requires Roofing Contractors to perform the installation and building. However, with a ceramic roof, you will have the most beautiful and unique roofing. We have launched a new business serving the city of Bristol. This is an exciting new venture partnering with the very best roofing contractor in the area. We are going to take the success of the Plymouth Roofers brand and emulate what we have done here and transfer that success for the benefit of Bristol residents. We will continue to expand to other areas and cities once the due diligence process has been achieved for each area and we can confidently deliver the excellent customer service and high quality workmanship that we have here. There are so many things to bear in mind when it comes to the damaged roof and its repair. Your work starts with finding some good roofing contractors, selecting the best among them, getting along with the professionals, negotiating the cost, deciding on the material, resolving any disagreements and so on. No matter what problem your roof is going through, you must find a qualified professional or a contractor you can rely upon. You should find a Roofing Repair Contractor evaluating his workmanship. It gives you the best assurance that your new roof will not leak while ensuring years of services. Quality workmanship also ensures that the tiles and all other roofing material will be installed absolutely correctly. Quality of material used by a contractor also decides the type of services you will receive. A reputable and credible roofer will always prefer to choose highly quality tiles and other material to repair or install new roof. Supervision during the installation process and warranty are other important factors that you should look for when scanning for a professional. You would want to be sure that the work being done is supervised by a trained and highly experienced professional. So, it is commendable to look for a reliable Roofing Company Mississauga where only trained and certified professionals team up for every day to day work done on your loft. Service standards should be considered too. You must ensure that the installer would apply the material and other tools as per the best practices followed in the industry or warranty will be voided anyway. There are various standards to be followed by the contractors regarding the selection of products and roof repair as well as installation. Reputation and experience of the professional also make an important point to consider while selecting one. You could check with the local business bureau or ask for any reference from your family, colleagues and friends. Select the most experience one with high credibility. Too many companies exist where salesman sells the job, but the actual work is carried out by untrained professionals without proper supervision. There is always a need for good roofers. Most people do not have the skills, the tools or the qualifications to remove or install a new roof. Companies have all the tools that are needed, and the workers are trained, skilled and insured. A guarantee from a roofing company is always a good thing. This means they are confident in their work and their roofers. Of course, you will keep everything essential in your mind while looking for a professional roofing contractor, but you should also consider a few other things. Ask the professional roofer to provide you some useful repair or maintenance tips or precautions that you can take as a homeowner to secure the performance of your roof for many years to come.